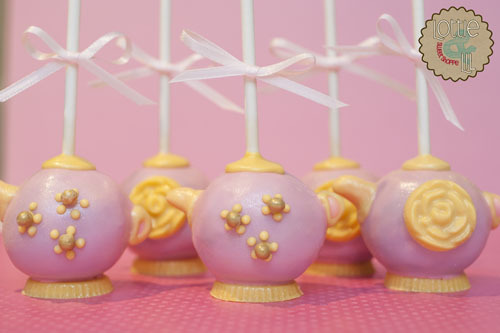 An afternoon tea can be a classy affair and of course the sweet nibblies must match the occasion. 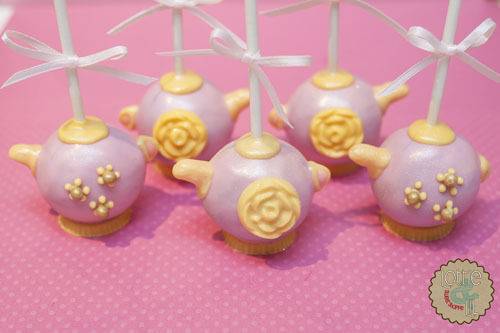 Teapot cake pops in gold and pink will definitely elevate a standard tea to a truly extraordinary and elegant event. This entry was posted on Monday, March 30th, 2015 at 9:06 am	and is filed under Special Event Pops.